Pray for our nation today, 17 years after 9/11. Pray for security, peace, godliness, and revival. Thank God for working in our nation. Ask Him to speak to you about how to intercede for our nation. Listen and share what He reveals–leave a comment to encourage and exhort other intercessors. 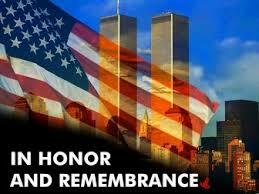 Check out Cry Out America, a 9/11 prayer event held annually. Click HERE. I am sitting in my office 17 years after al Qaeda operatives ran two planes into the World Trade Center towers, one plane into the Pentagon, and another was downed in a Pennsylvania field before it could do more damage. The result, nearly 3,000 American citizens met an untimely and brutal death. And where are we today? We have lost thousands of lives conquering and “giving democracy” to people who hate us; We have spent trillions trying to root out the terrorists; we have had two presidents who have tried to appease Islam, resulting in Islam colonizing America. To this point, the current president is being fought fiercely by the pro-Islamist Marxists as he tries to reverse this trend. Glorifying God through Elections; Prayer Guide for Electing Righteous Leaders; Praying for Midterms Intercessory Intel Report; and check out our online tools HERE. Lord God, Our Heavenly Father, we know that 911 was a wake up call to your children here, too long have we been asleep, too long have we taken your blessing on us for granted, too long have we NOT been salt and light as you have told us to be. Lord i ask for profound repentance for all your churches here that they would lay down their idols and serve the living God. Oh Lord forgive us and send your mercy to us again. For some reason this year I was more aware of the devastation that our country went through as a whole. I cried for the ones lost and the ones left behind. My heart was so heavy today just like it was the first time. Today is also the last evening of the Rosh Hashana and the beginning of the days of atonement. I feel as if the Lord is starting to stir the hearts of men. Healing is beginning to take place with the rest restoration of our economy as well as new life in seeing sudden miracles within the Church. My prayer is that it continues into the greatness the Lord wants it to be. If my people who are called by My name will humble themselves and pray and seek my face then I will hear from heaven and heal their land.